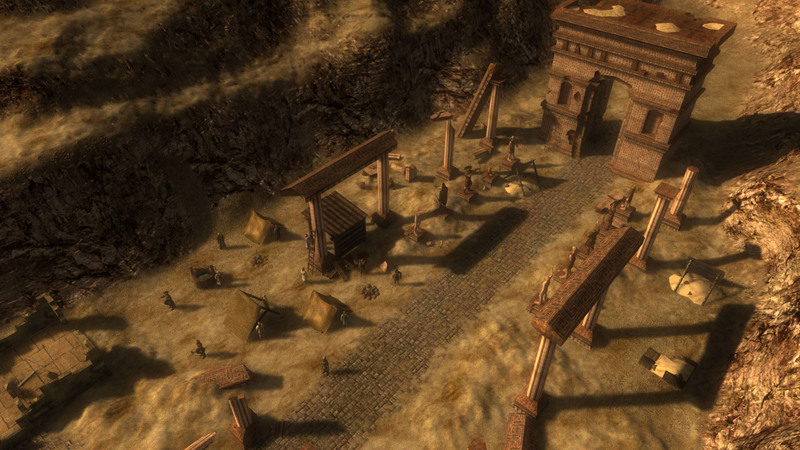 The Age of Decadence is an RPG in the true sense of the word. Or three words. It’s a genre that we commonly associate with action RPGs these days – with franchises like The Witcher, The Elder Scrolls and Final Fantasy all featuring their own blend of combat. In those games, combat is actually a prerequisite for success, and something you’ll engage in often so you can level up your skills and face tougher enemies later on. Not so in The Age of Decadence – here, story development takes center stage, and not stat building. A lot of this is partly due to the setting against which the game takes place. As you can probably decipher from the title, The Age of Decadence takes place in a time where the kingdom has fallen on bad times. It’s up to you to uncover what happened and how to restore some of the greatness that once was. While this could have been a setup for a quest involving a dark wizard or a band of half-breed, it’s definitely not. What developer Iron Tower Studio has crafted instead is a world that is much more plausible – more or less like a medieval kingdom on earth. After all the high fantasy settings of games like The Witcher or Skyrim, this is certainly different. This pseudo-realism doesn’t just end with the setting, it also translated into the gameplay itself. Playing as a single character and without much in terms of special powers or spells to save you, you are advised early on to steer clear of combat wherever possible. To those who prefer rushing head first into battle, the game will certainly appear as though it has its cards stacked against you. This isn’t the case though – The Age of Decadence merely wants to portray a more realistic approach to fantasy and therefore it’s not a smart idea to pick a fight with a band of six or more enemies, since you’d be very likely to lose that fight… fast. In some ways, the game plays more like a non-linear adventure game, with its heavy emphasis on storytelling and relatively unimportant combat. There is however, as is the case in almost every RPG game, also a fair share of character development to be found. While most games will push you to become stronger so you can wield more powerful weapons or cast better spells, here you make choices based on where you feel the story going in the near future. It’s hard to explain without giving any spoilers away, but it fits with the fact that there are many ways to play this game. You can avoid combat almost completely (ignoring areas that require an assault to access), or you can choose a more muscle-heavy approach. 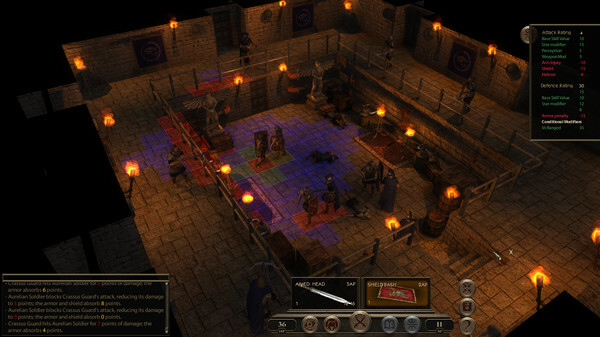 The (turn-based) combat doesn’t get any easier though, which is why we dubbed this approach “The Age of Perseverance”. Audio visually, this feels very much like an indie game – The Age of Decadence uses an isometric perspective and feels rather dated in terms of detail and overall presentation. Still, this is a game from a small developer and clearly the focus was on creating a story worth experiencing. In this, they have succeeded, although there are some rough edges you’ll come across. Whether you play an aggressive game or steer clear of combat as much as you can, this is an unforgiving game that will border on frustration more times than most of us would like. If you feel like that’s exactly the type of challenge you’ve been looking for then this is the game for you. If you’re heavily invested in action RPG games like Skyrim of Diablo, I’d recommend watching some footage before deciding on whether or not this is something for you. The Age of Decadence plays a little like an interactive (low) fantasy novel with multiple story branches to experience, and if that sounds interesting to you then you might very well be the target audience here.